Post-marathon recovery: how to get back up and running in no time. A marathon places massive stress on your body so it’s important to give yourself time to recover after a race. It’s a critical component of your training but recovery often gets forgotten about once the race is over. Not allowing adequate recovery time can increase injury risk and the overall time it takes to get your body back to its peak physical condition. It can also limit your running potential in the months following the marathon. Not ideal if you’ve got more races lined up! So, what are the best ways to recover from a marathon? Get into warm clothes and continue to walk for 15-20 minutes. This will help to remove waste products, like lactic acid, that will have built up during the run. It will also allow your heart rate to make a gradual return to its resting state. While running, you’ll have become dehydrated and your body will have lost a lot of its natural sugars too. Drink plenty of water and electrolyte drinks and eat small amounts of carbohydrate- and protein-rich foods. This will help you to rehydrate and will replenish your glucose levels. Protein also provides the nutritional building block your body needs to help muscle repair. Keep eating small snacks until your stomach feels ready for a larger meal. Ideally, this should be something rich in carbohydrates. You should now be starting to stretch and foam roll too. Keep resting and stretching and go for a light walk to aid muscle recovery. A massage at least 48 hours post-race will help to reduce recovery time too. Soaking in a hot bath in the days after a race can also ease muscle stiffness. Continue to eat well during this time to rebuild and repair damaged tissue. Depending on how your body is feeling, some low intensity, short distance running may be beneficial. Everyone is different though, so this is just a guideline. You can also incorporate some cross training, like swimming or cycling, into this phase of recovery too but make sure you’re still stretching, rolling or receiving sports massage at the same time. Although it varies from runner to runner, 7-14 days is the recommended time for post-marathon recovery. 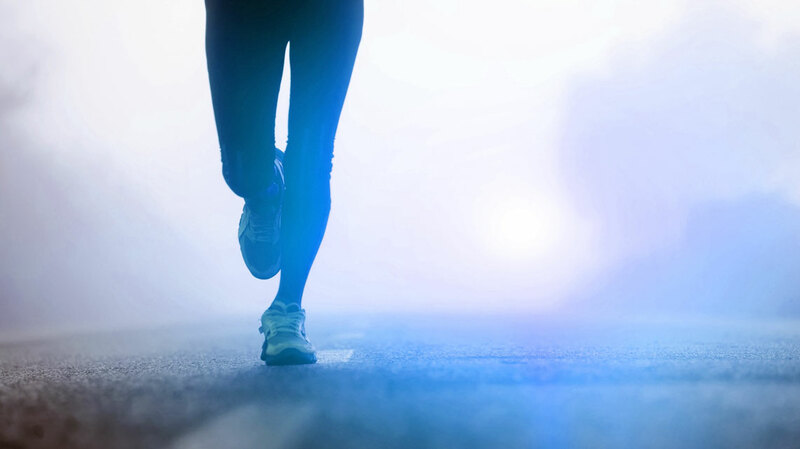 Training for a marathon, and running one, can cause inflammation and damage muscle cells. This muscle damage causes the production of an enzyme called creatine kinase. This can be a sign of skeletal muscle damage which can have a significant impact on muscle power and endurance for up to 14 days post-marathon. If your body is feeling good, make gradual increases to the distance and intensity of your runs. If you’re still experiencing post-race fatigue or niggles during this time, keep resting and taking part in light cross training. It usually best not to schedule in any competitive runs in the 6 weeks following a marathon too. A common concern amongst runners, especially those who take part in events throughout the year is loss of fitness during rest periods. Despite this being a common concern, you won’t lose too much form in the space of two weeks. In fact, rest will aid in long term running performance, rather than compromise it. If you’re a long-distance runner and you need some advice on how to help your body recover, book an appointment with one of our physiotherapists and we’ll get you back on your feet and on the road in no time. Ebbeling, C.B. & Clarkson, P.M. Sports Medicine (1989) 7: 207. Louise M. Burke, John A. Hawley, Stephen H. S. Wong & Asker E. Jeukendrup (2011) Carbohydrates for training and competition, Journal of Sports Sciences,29:sup1, S17-S27. 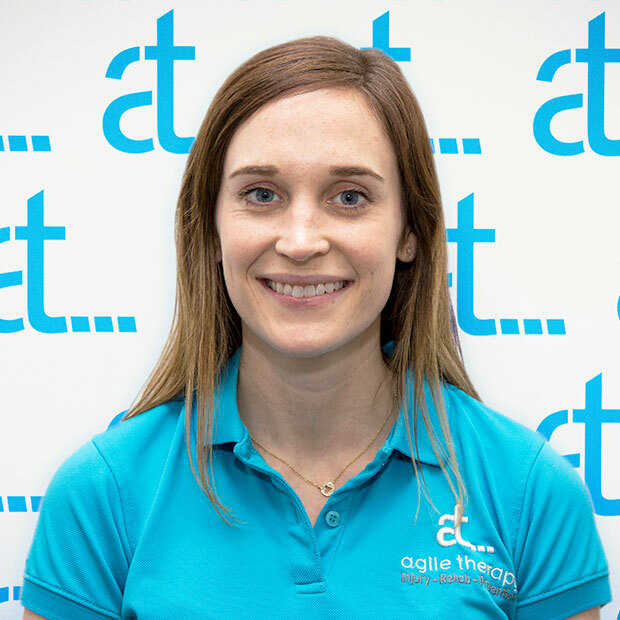 Niamh graduated from Trinity College Dublin with a BSc (Hons) in Physiotherapy in 2007. Previous Previous post: What Are the best stretches for runners?